KLIK DISINI, untuk mendaftarkan situs anda secara GRATIS !! Mia Yusmita Gofar is an artist and the author of jewelry how to books in Indonesia. Handmade Accessories adalah tempat berkumpulnya 4 sepupu yang sama2 senang dan hobi otak-atik batu dan kristal swarovski. Seorang artist yang banyak mengeksplorasi segala hal tentang kawat-kawat cantik, juga tersedia tutorial dll. Wire jewelry maker & designer. All made from special wire for jewelries with non tarnish coating, long lasting time resistances and good quality. Also accepting special request. Jewelry like your own personal piece of rainbow. online shop for handmade jewelry owned by Irma Yustika. Made with love and only made one item for its exclusivity, all jewelries are created from the different materials combination. Customized design from you is accepted. Galeri Unik Re is an online wire jewelry shop that created by Rere. All stuff in this shop are handmade and created by combining elements of wire, stones and crystals. I also accept a costumized design from you. A place where I show some of my wire jewelry. All are handmade by me. Shape your imagination. Tupai Merah menerima pesanan diorama figurine dan replika miniatur dari polymer clay. we sell & crafting many kinds of CLAYARTS, starts from cute Handphone's accessories, kawaii jewelry, etc. All made by imported clays. 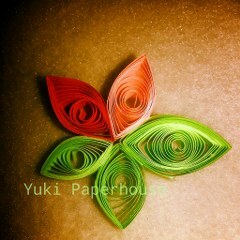 Paper Quilling (paper rolling) crafts and tutorials. We also accept orders. Berikut adalah contoh kode HTML yang bisa langsung anda masukkan pada situs anda.